Hatha yoga describes the physical practice of yoga poses, using postures in alignment with the breath. Pending on the needs and experience levels of students in the class, this is a medium-paced, moderate class involving familiar yoga postures (asanas) to develop strength and flexibility in your body and quietness and relaxation in your mind. 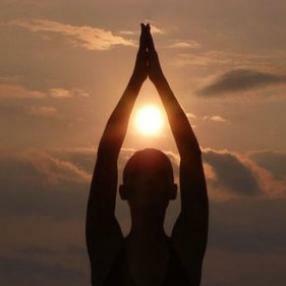 This morning class will have an energising component to set you up for the day paired with relaxation and breath work. Suitable for beginners and all levels. Take your practice to the next level! Learn a more challenging series of postures and advance your practice in an energising group environment. We recommend having experience of some Yoga Synergy Vinyasa classes and committing to coming to at least one Dynamic class per week to fully benefit from the progressive nature of the Yoga Synergy method. However, being in a more advanced class is not about doing more fancy postures. Anyone is welcome as long as you are able to leave your ego at the door and do simpler versions of postures when its appropriate for you. Over our 9 week program you will learn with a group of committed yogi's and progress towards an uplifting flowing practice to music in the final class. So that you get the maximum benefit from these classes, we recommend that you also come along to the YS-Flow classes, which follow the Dynamic class sequence weekly - its a chance to put into practice what you learnt in the Dynamic class and experience your own yoga practice in an energising group environment. Morning classes: The birds are singing, the sun is best time to do yoga and begin to develop a regular and committed practice. Pedal Stroke Yoga was created by studying the muscles used to produce power in the pedal stroke, and the impact this movement has on the cyclists body. The traditional hatha yoga sequences were then reformulated to create a style of Yoga that is specific to Cyclists needs. The main aim of Pedal Stroke Yoga is to create a body that is both strong and supple, in order to allow cyclists of all levels to maximise their performance and enhance their enjoyment of the sport. Pedal Stroke Yoga also benefits those that are desk bound through their work or partake in heavy manual labour. Hatha Vinyasa is a smooth flowing style of yoga that links the breath and postures together generating body heat and purification. This class is suited to all levels of yoga experience. “Vinyasa” means “breath-synchronized movement.” In other words you move from one pose to the next with the breath in a flowing way. The poses often run together and become like a dance. This style allows for a lot of variety, but will almost certainly include Sun Salutations. Expect movement, not just stretching and it may be fast or slow depending on the students and on the individual teacher. This evening class is offered at a general level and assumes that the student has some experience with yoga asana practice. The class moves slowly and with increasing depth thru the body and breath, and at times will include long holds of postures. The focus of the practice is to maintain the rhythm and cadence of the breath despite the at times, demanding nature of the practice, to fold in. We finish slow and long with forward folds, a spiritual and philosophic focus thru reflective dialogue and a bridge between the day and the night. Starting with seated breath awareness followed by flowing and dynamic asana guided by the breath. Balance body, breath and mind, opening and toning the body and stabilizing joints. 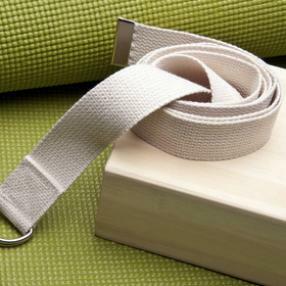 Closes closed with pranayama and guided meditation. Everyone welcome, from complete beginner to advanced students - the Yoga Synergy method caters for everyone. In the Yoga Synergy method, each posture is taught with simple through to complex versions, enabling you to vary the intensity of your practice. We encourage you to practice responsively and to be in the present moment, choosing which version of the posture is appropriate to you on the day - this can change from day to day. Emphasis is on balancing strength and flexibility, relaxation, correct breathing and flow, to increase your confidence and zap stress! Vinyasa class follows a progressive 9 week program, teaching the 5 Yoga Synergy sequences (Earth, Water, Fire, Air & Ether) designed by physiotherapists and experienced yoga practitioners Simon Borg Olivier & Bianca Machliss. It doesn't matter what part of the 9 weeks you join in. Each week focusses on different aspects of the practice: alignment, anatomical safety, flow and adjustment by our experienced teachers, culminating in a dynamic, flowing, meditative practice that is signature to the Yoga Synergy method. 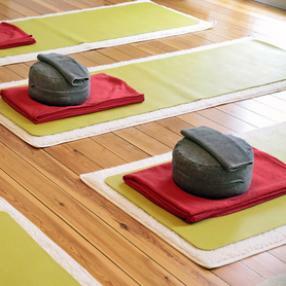 These classes are great for cultivating your own practice and understanding of yoga. They are safe, fun and give you a cardiovascular workout. At the same time, use of balancing pranayama (breathing) and meditation, means you are able to go deeper into postures, and reconnect to your true essential nature. Suitable for: Anyone and everyone - no experience required but advanced practitioners will have a good practice. We recommend if you have never tried Yoga Synergy method to start with these classes. Classes suit all levels of practice, including beginners. A series of static postures designed to systematically cleanse, strengthen and heal the entire body, mind and energy system. Practiced in a warm room. slow flow, open level, gentle-medium intensity.